Squaredelles are the square version of round barrel rondelles. 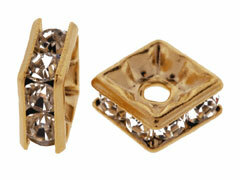 Each squaredelle contains sparking faceted crystals within a silver or gold-plated channel setting. 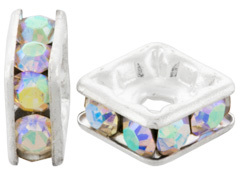 These glittering Swarovski squaredelles can be used to create elegant, eye-catching jewelry when paired with crystal cubes, rounds and pearls. 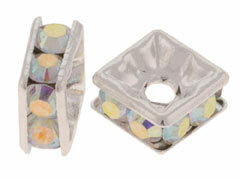 Please visit INM Crystal’s Idea Gallery for inspiration on using these dazzling squaredelle components in your designs. These straight edge squaredelles are not manufactured by Swarovski. 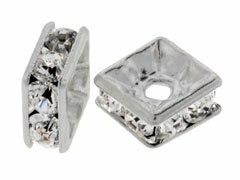 They are made with Czech crystals.